Today Britain’s most celebrated amateur boxer, Nicola Adams OBE, announced her decision to turn professional with Hall of Fame Promoter Frank Warren. The news was revealed at a London press conference today hosted by Mr Warren and his new broadcast partner BT Sport, who will televise Ms. Adams’ professional bouts in the UK. 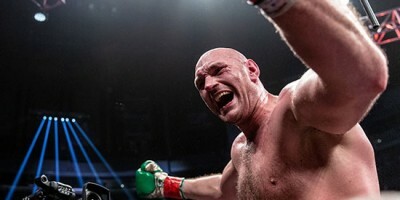 The double Olympic Gold Medallist and flag bearer for women’s boxing, will appear in the professional code for the first time on Saturday 8thApril at the Manchester Arena on an event headlined by Terry Flanagan’s WBO World Lightweight Championship defence against Petr Petrov. 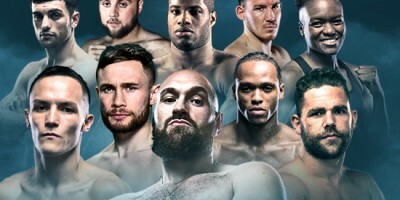 Ms Adams will then fight in her home City of Leeds on Saturday May 13th at the First Direct Arena, on a bill headlined by local boxing hero and WBC Silver Featherweight Champion Josh Warrington. Both events will be simulcast live on BT Sport and BoxNation in the UK. The hugely-popular Ms Adams will campaign at Flyweight and is determined to match her unprecedented amateur achievements in the paid ranks and rise to become a professional World Champion. Ms Adams became a cross-over star during London 2012, where her incredible performances in the ring and beaming smile became some of the most iconic images of an Olympic Games which saw unprecedented success for Team GB’s athletes. Ms Adams went on to win Great Britain’s first ever Gold Medal for Female Boxing at the Games, famously defeating three-time World Champion Ren Cancan of China in the Olympic final. During what can be considered one of the successful ever amateur careers for any female or male boxer, Adams secured a clean sweep of amateur titles winning every available accolade in the unpaid code, capturing the only remaining major title to elude her when she defeated Thailand’s Peamwilai Laopeam to be crowned the World Amateur Flyweight Champion in May 2016. After Ms Adams’ World Championship victory, she embarked on her second Olympic Games in Rio as the reigning Olympic, World, Commonwealth and European Games Champion and became the first British boxer to successfully defend their Olympic title for 92 years defeating France’s Sarah Ourahmoune in the final. In recognition of her services to boxing, Ms Adams was appointed Member Order of the British Empire (MBE) in the 2013 New Year’s Honours list. The British sporting icon was then awarded an OBE in the 2016 New Year’s Honours list for her outstanding achievements and efforts to raise the profile of women’s boxing. After a breath-taking amateur career, Ms Adams, managed by Grant Michaels and Ed Griffiths of ROAR Global, is thrilled to be embarking on the next chapter of her remarkable story under the guidance of Hall of Fame Promoter Frank Warren. Boxing fans will be able to follow her career in the professional ranks exclusively on BT Sport and BoxNation. 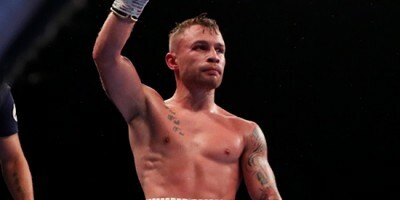 Hall of Fame Promoter Frank Warren said: “Of all of all the signings I have made in my 35 years in the sport of boxing, this is among the most I have been excited about. “Nicola is a national icon already and is without doubt Great Britain’s most successful amateur boxer of all time. She is a tremendous fighter and has a wonderful personality that lit up both Olympic games where she captured two consecutive Gold Medals.